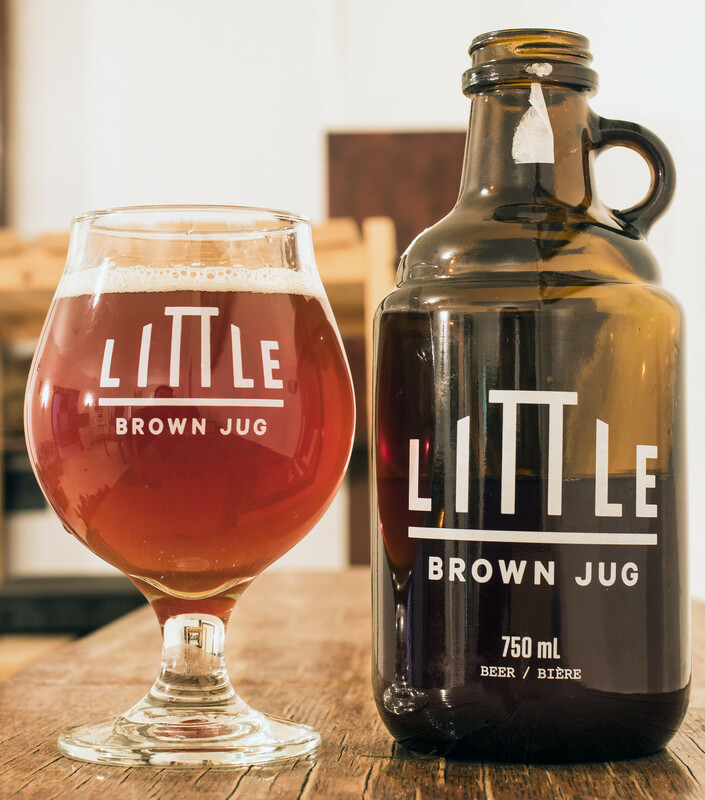 Until the next brewery opens up, Little Brown Jug will be the newest brewery in Manitoba. I checked out Little Brown Jug for the first time on Christmas Eve and was very surprised by the brewery's atmosphere/tasting room. LBJ was the first brewery where I've seen the brewing operation in the same room as the tasting room.. In fact - the only thing that separates the brewing equipment from the taproom is a rope! So if you're lucky enough to be visiting Little Brown Jug on one of their brewing days, you'll be able to watch them producing the beer as you're sipping on their only beer - 1919 Belgian Pale Ale with a side of charcuterie and Quebec cheeses. 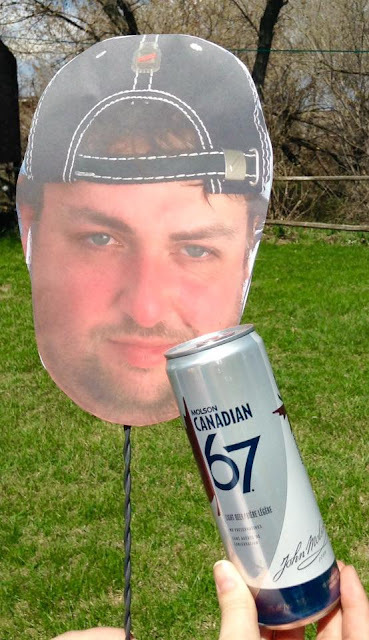 I'm surprised that they only have the one beer.. but seeing that for four years, Neepawa's Farmery Brewing only had one beer until they released their Canadian Pale Ale, so it's not completely unreasonable for a small up-and-coming brewery to concentrate on only the one beer. Appearance: The cool thing about Little Brown Jug is that unless if you're getting a typical growler re-fill, they sell their beer in little 750mL jugs.. which to me is the perfect "single serve" portion of beer. The 1919 Belgian Pale Ale pours a caramel amber with a moderate amount of carbonation and a good amount of white head to start off but diminishes to a few bubbles here and there. Being the Belgian ale snob I am, I was thinking that the beer looked too dark compared to most Belgian Pale Ales but actually it's pretty comparable to most of the Belgian Pale Ales (leave the strong Golden Strong Belgian Pale Ales) out there. Aroma: Caramel malt, earthy hops, a hint of a peppery spice to it, mild dark fruitiness. Minimal Belgian yeast presence here but I do get a bit of a sweet doughy aroma in there. So far it's reminiscent a bit to Unibroue's Raftman before they turned it into a Smoked beer last year. 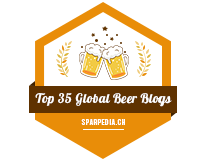 Taste: A lightly roasted wheat beer with a good deal of caramel sweetness as well as a bit of a light peppery flavour that meets a leafy yet earthy hop presence. Eventually I start to get a bit of a nuttiness in there as well as hints of juniper, but it doesn't really change its complexity as it warms up because it's mostly a fairly easy to drink pale ale during the entire time I drink this. Overall Thoughts: Very easy to drink Belgian Pale Ale that wasn't what I was expected - for some reason I was expecting more of a lower ABV La Fin du Monde rather than an older recipe Raftman. This one has flavours and aromas of what I remember from Unibroue's Raftman from years ago before they turned it into a smoked beer. It's growing on me slowly so I'll be ordering this more and more once it's more available in Brandon. Very easy to drink and not discriminating on the palate so it's going to be a great beer for food pairings with friends.